Gates Corporation, which has a diverse range of automotive and industrial products has announced that it has added 414 new part numbers to its range of Original Equipment (OE) quality automotive aftermarket products. 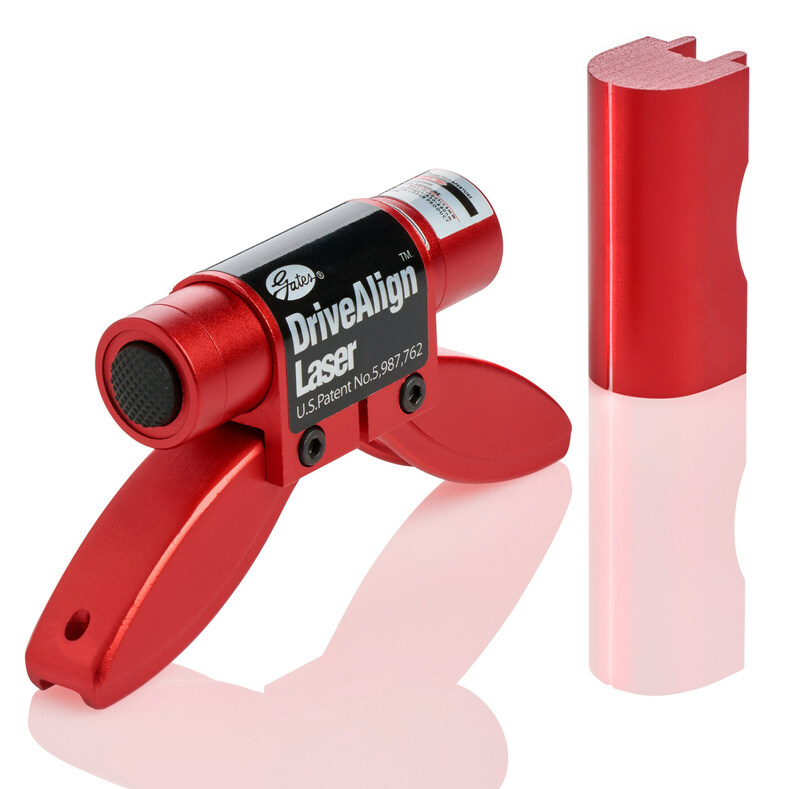 Updated Drive Align Laser Tool for misalignment detection. This two-piece kit comprising a laser tool and a target piece is meant to detect any kind of misalignment in serpentine drive systems. In order to increase visibility in dark engine compartments, both the components are anodized red. They also come with specially designed magnetic feet to fit in K-section Micro-V pulleys. When the laser beam, which is a large vertical line, is coupled with the precisely etched groove in the target piece, it is easy to identify misaligned pulleys and components. The company’s first portable crimper, GC16XD Mini Crimper and Pump: This tool combines the convenience of a hand pump with the performance and speed of a powered pump. The new battery-operated pump comes with a sealed bladder reservoir to prevent contamination and to allow the pump to work in any position. In tandem with the new GC16XD Mini Crimper that weighs only 44 pounds, the pump can be used to make factory quality assemblies easily irrespective of the location. New Heavy-Duty Turbocharger Reducer Hose. This heavy-duty turbocharger reducer hose made of silicone coated meta-aramid fabric with stainless steel pressure retention rings is compatible with popular Navistar/International applications. The meta-aramid reinforcement makes the hose ideal for use in even highly demanding high temperature applications as it increases the hose’s flexibility and strength and the high quality silicone cover provides superior service life and excellent heat resistance up to 500°F (260°C). 2.7L Kia/Hyundai Timing Kit. This is a new timing kit for 2.7L Kia/Hyundai vehicles which comprises an OE-exact tensioner assembly, OE-performance idler pulley, OE-exact timing belt, and detailed instructions. Expansion of the Gates RPM Micro-V® Belt line. Gates is also adding 41 belts to its Racing Performance Muscle belt line, which have been designed specifically for forced induction and high-output engines. The belt line features a nylon-fiber reinforced undercord, high-modulus, low stretch Aramid cord, and dual adhesion gum layers. When compared to other belts that are available in the market, this belt can tolerate more power and more punishment. The outcome is better power transmission, increased durability, and unmatched boost.